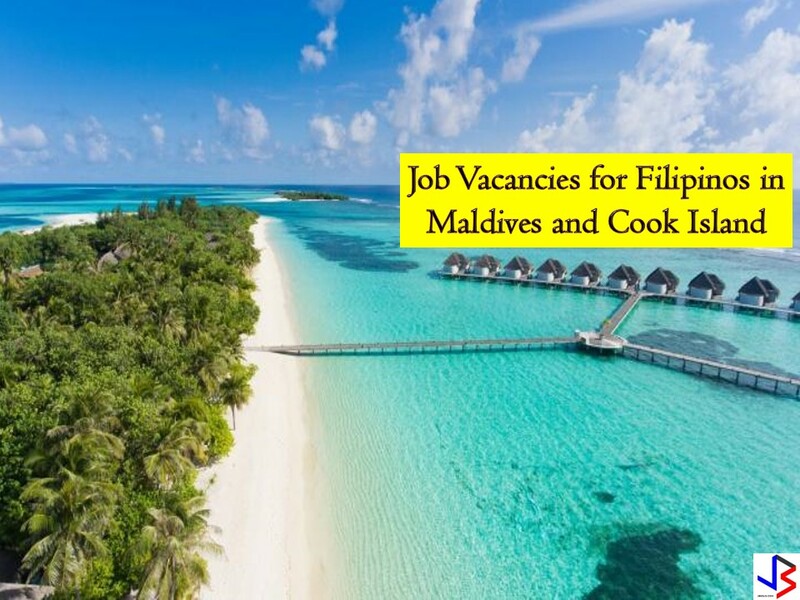 Job Vacancy for Filipinos in Maldives and Cook Island — POEA Approved! Searching for jobs opportunities where you can work abroad? If yes then you should consider working in the Maldives or in Cook Island! The Maldives is a beautiful and tropical island nation in the Indian Ocean! The country has many job vacancies for Filipinos. Particularly, the Maldives is hiring for accountants, architects, carpenter, mason, heavy machinery mechanic, waitress, trainer, storekeeper, and many others. On the other hand, Cook Island is a nation in the South Pacific and is also looking for Filipino workers! The country is hiring for accountants, sales assistant, shopkeeper, spa therapist, housekeeper, sales assistant, and many others! Check the full list below from POEA! Jbsolis.net is NOT a recruitment agency and we are NOT processing nor accepting applications for jobs abroad. All information in this article is taken from the website of POEA — www.poea.gov.ph for general purposes only. Recruitment agencies are being linked to each job orders so that interested applicants may know where to coordinate and apply for their desired position. This article is filed under jobs abroad, Filipino workers, hiring Filipino workers, jobs near me, international employment opportunities, local employment, job site, housekeeping jobs, and Maldives jobs. If working abroad is one of your dreams, you should start scouting for work right now! You should also start searching the background of the country you wish to work for. If Canada or Saipan are on your list! Then you should check this list of Philippine Overseas Employment Administration (POEA) approved jobs to the two countries. Canada is hiring Filipinos to work as caregivers, food service supervisors, chefs, cooks, farm workers, industrial meat cutter, technicians and many others! On the other hand, Saipan — the largest of the Northern Mariana Island is looking for engineering technicians, welders, boat mechanic, HVAC mechanic, and registered nurses! Check below for the complete list of jobs! This article is filed under jobs abroad, Filipino workers, hiring Filipino workers, jobs near me, international employment opportunities, local employment, labor shortage, and job site.